A suspect busted into a high-end fashion store in San Francisco early Wednesday morning and stole multiple items before ditching the scene, according to police. The burglary occurred at the Yves Saint Laurent store on Geary Street near Union Square. Officers responded to the scene around 4:40 a.m., according to police. 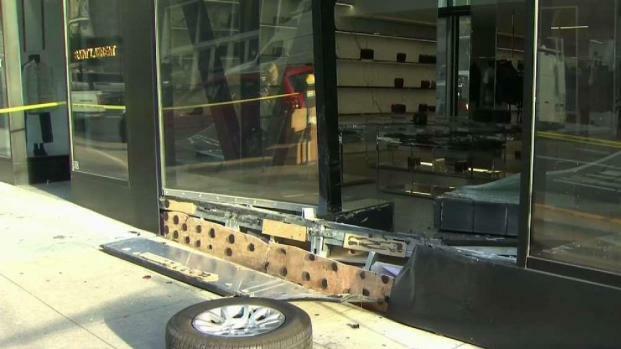 Police said the suspect backed a vehicle into the storefront, causing a window to shatter. The suspect proceeded to steal "a number of items" from the store before hopping back in the vehicle and fleeing westbound on Geary Street. Aerial footage of the scene showed damage to the storefront, a car tire on the sidewalk and police tape blocking off access to the business. 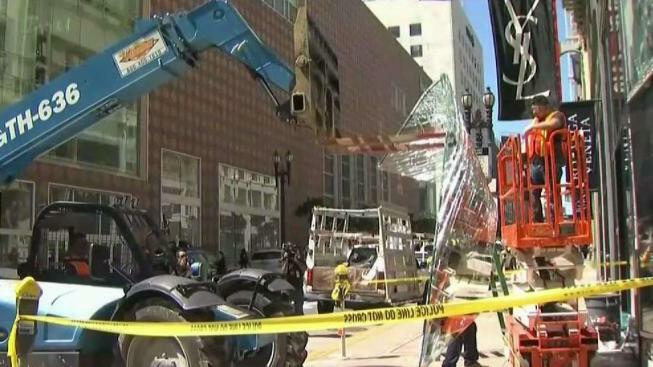 A suspect busted into a high-end fashion store in San Francisco early Wednesday morning and stole multiple items before ditching the scene, according to police. Pete suratos reports. Investigators are still trying to determine how much the stolen items were worth. Police did not immediately provide a description for the suspect. Anyone with information about the burglary is asked to call police.